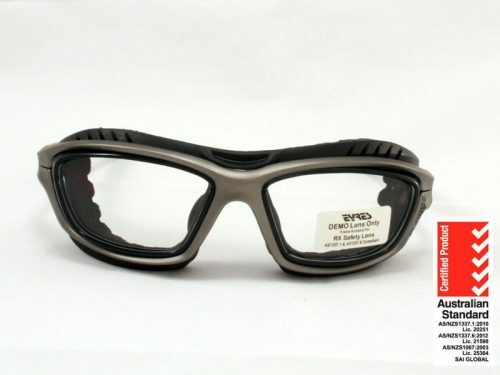 The FCS04 safety glasses prescription are a classically rounded pair of spectacle styled safety glasses. With clear plastic side shields attached to the frame sides. There are straight hinges, for the frame sides and plastic coated temple ends for grip behind your ears. The FCS04 is a classically rounded pair of spectacle styled safety glasses; with clear plastic side shields attached to the frame sides. 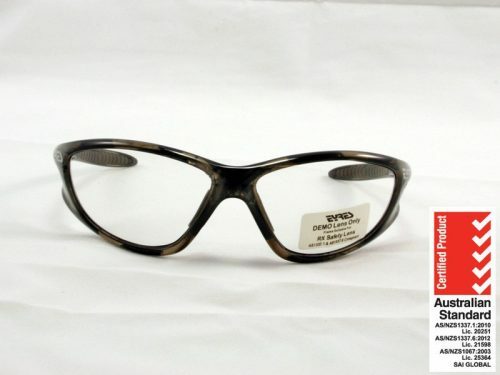 This frame also comes in a larger size. 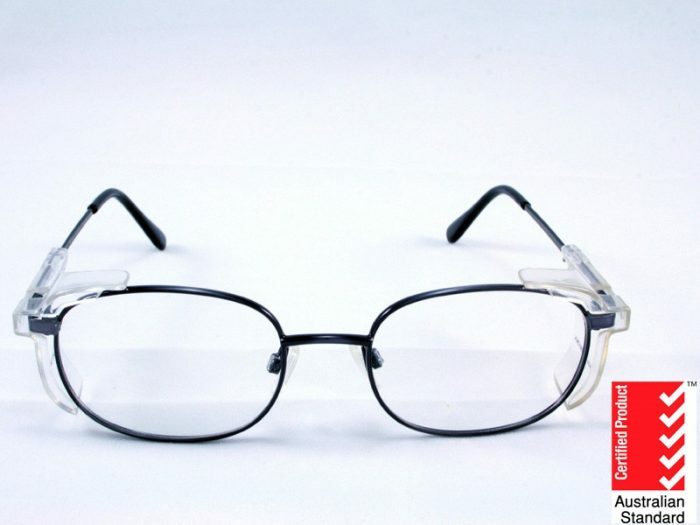 So check the frame dimensions to make sure you order one one closest, to what you are currently wearing. There are straight hinges, for the frame sides and plastic coated temple ends for grip behind your ears. The nose pads are made of silicone to make them more comfortable. 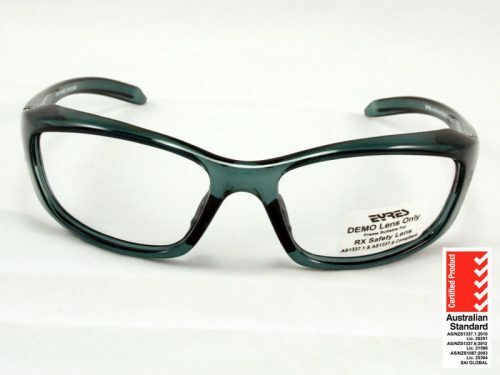 A very traditional style of safety glasses, due to the lack of curve to the frame front, this frame is suitable for all prescriptions and lens types. 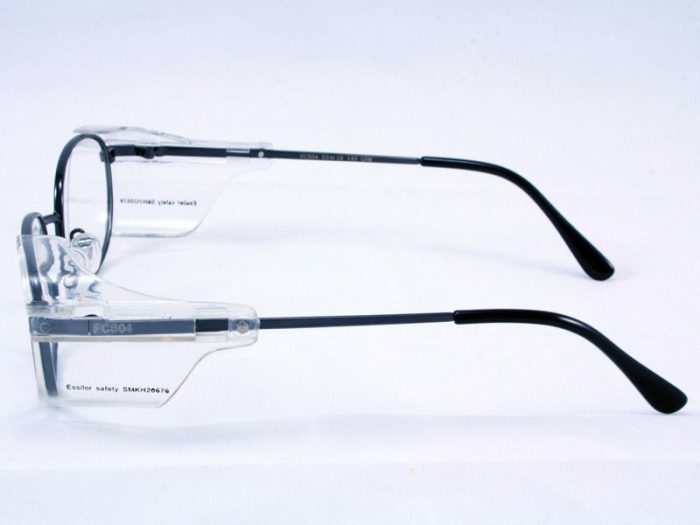 You can even choose to have the new anti-fog coating on these glasses. 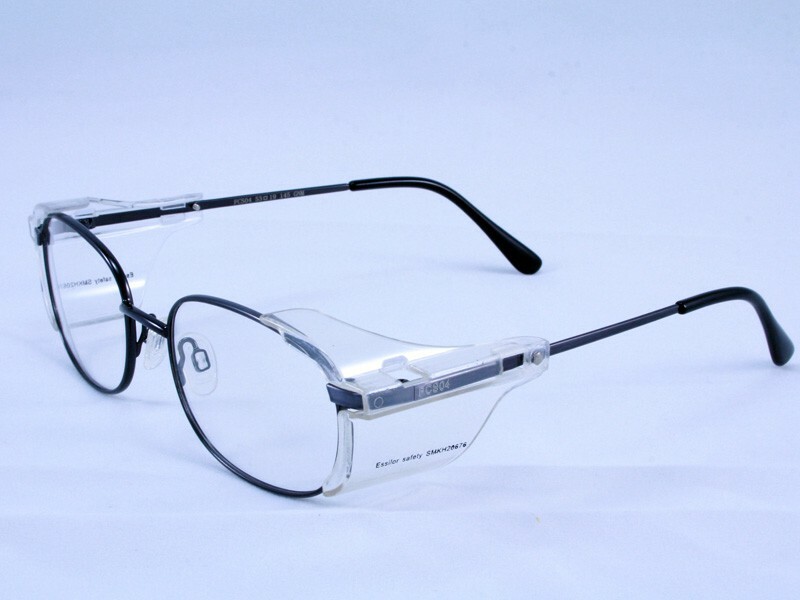 The FCS04 is available in 2 sizes and is suitable for both male and females wearers. 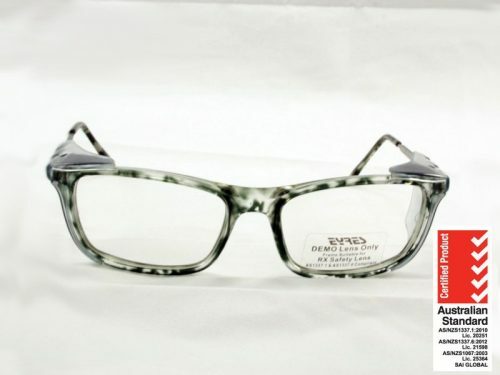 The price listed includes with excellent prescription safety glasses frame, standard single vision polycarbonate lenses, hard case, safety certificate, cleaning cloth and shipping.